What makes you happy and what makes you mad? How should you respond when you're happy and when your mad? 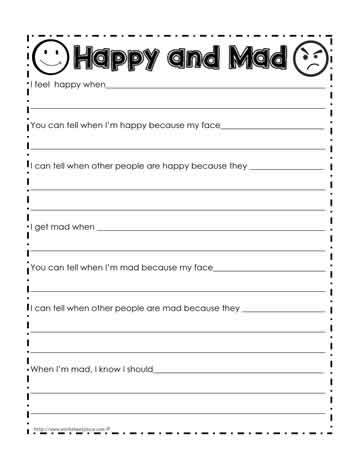 Feelings and social skills worksheets help students understand and control their emotions.